Instructions for the best viewing of this website: Widen your screen to its full width and click any picture and you will see a double-sized image. Click BACK in your browser to return to this web page. In 2003 our award winning McKinley Explorer® rail service gets even better. Our fleet of restored Budd railcars have the smoothest ride on these rails. And now we’re introducing four new luxurious railcars. 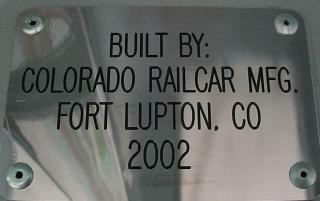 They’re not only the largest passenger railcars in service in North America; they boast more glass area than any other railcars built. Every other car also features a lower lounge, a gift shop and an open-air viewing platform so that nothing gets between you and the bigger-than-life views. Adjacent cars feature a unique, forward facing glass enclosed viewing platform for a different perspective on the wonders that lie ahead. And there’s more in store for cruise tour passengers. Specially tinted windows and four separate air conditioning systems maintain your comfort. And the largest railcar dining rooms in Alaska can serve all guests in just two sittings for a more leisurely meal. all photos and text by Carl Morrison, Freelance Travel Writer. 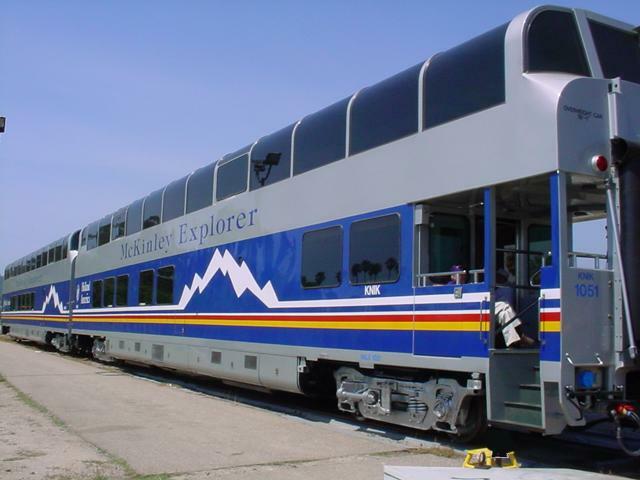 Thursday April 10, 2003, I rode 324 miles in the brand new Holland America dome cars from Santa Barbara up the Pacific Coast to San Jose, California. In nearby Santa Clara Charlotte and Jack Shaw would host an open house Saturday and Sunday on the main track at the CalTrain Station. I quickly made Amtrak reservations to get to Santa Barbara to board these beauties and from San Jose back to my home station, Fullerton, California. I was anxious to go since I had not even heard of these new cars much less had the opportunity to view and photograph them or more importantly to RIDE in them. At our departure from the home of TrainWeb.com, Fullerton Santa Fe/Amtrak Station, on Thursday morning, we learned of a possible re-route of this 2-car trainset from Santa Barbara through Bakersfield instead of up the coast to San Jose, because of either height or length limitations. Upon learning that in no case would the trainset leave Santa Barbara before 2:30 pm, we decided to use our Surfliner tickets to leave Fullerton at 8:16 for Santa Barbara. 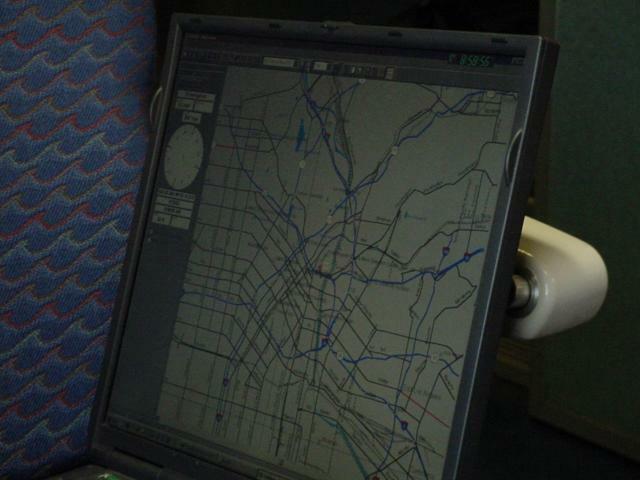 The trip allowed us to discuss Steve Grande's new addition to his bag of tricks for train travel...a GPS system and map software allowing us to see a moving red triangle on the screen which was our train with the map showing freeways, rivers, coastline, etc. Steve said the greatest advantage was knowing ahead of time when rivers, bridges, and ocean views were approaching allowing us to turn on the cameras and be ready for a photograph. When we passed a hotel in Ventura that Steve wanted the address for, we could see what street it was located on by viewing the GPS screen.